Black Leather Braid Bracelet With Dragon | BUDK.com - Knives & Swords At The Lowest Prices! Add this black genuine leather bracelet to your jewelry collection and people will stop you to get a closer look at this awesome piece when you’re wearing it. 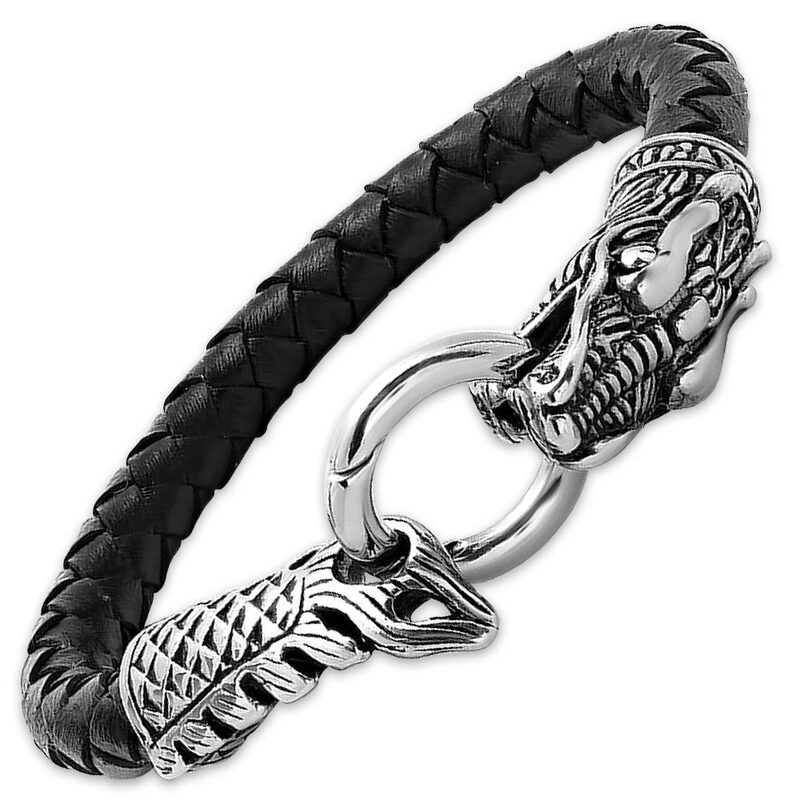 The braided leather bracelet features a detailed stainless steel dragon. The bracelet has a hinged clasp and is 8 1/2” in length.